After graduating with a degree in Business studies and a Masters Degree in Information and Administration Management, Stephen joined CSC Computer Sciences as a Consultant. During his time there, he worked at Bhs, Anglian Water in 2 project management roles, and with BHP Billiton on bringing onshore, offshore technologies from drilling rigs in the Irish Sea. He then joined Merrill Lynch where he worked on various projects with Bloomberg and on the trading floor. 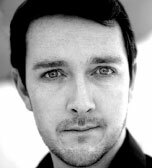 Stephen then attended and graduated from Drama school. He fulfilled a life long dream to perform on the west end stage in several shows and went on to work as an actor and voice artist. Stephen naturally progressed into working in learning and development training which resulted in a desire for better understanding of experiential learning techniques for the workplace and so he is undertaking a Phd in the learning and development of socio-emotional competencies at the Institute of Advanced Teaching and Learning, University of Warwick. He is also as an Academic Associate of the Chartered Institute of Personnel and Development (CIPD) now focusing on work as a leadership development trainer. Foreign & Commonwealth Office, Aecom, Royal Bank of Canada, Hyperion, Elavon, Herbert Smith, Royal Bank of Canada , Thomson Reuters, Lloyds Banking Group, University of Warwick, Hiscox, The Prime Ministers Strategy Unit, Care Management Group, Sanofi Pharmaceuticals, PIMCO, Sanofi Pharmaceuticals, Zolfo Cooper, Deloitte, Barclays Wealth, Davis Langdon, BAe Systems, Deutsche Bank, Royal Bank of Scotland, Credit Suisse.